Beatrice Italian Vest by Peserico, a beautiful expression of winter luxe. 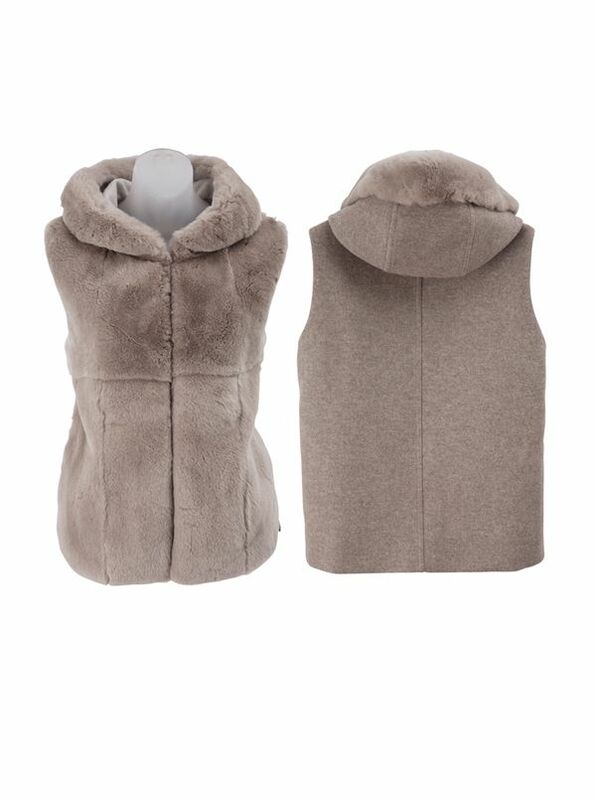 Made in Italy with rabbit fur front and trim on hood, back and hood of 81% wool/12% cashmere/7% poly. With hook/eye closure, two pockets.